Every year I have grand plans for a Halloween costume but they never seem to come together, mostly because we don't really go to parties where a well thought out costume would be pertinent. I usually just pass out candy by myself (Chris always seems to be working), so a more subtle costume is okay. 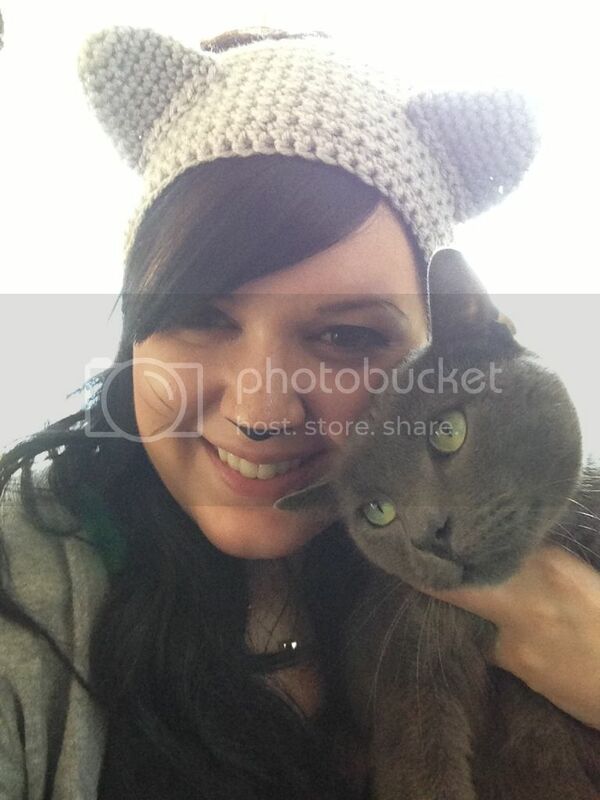 Last year I was a cowgirl, and this year I'm rocking my new kitty ears headband (which will be up in the shop soon!). It just so happens that I'm wearing gray.... yeah, I'm dressed up as my cat for Halloween. Even Jeans thinks I'm a dork! Hope your Halloween is safe and spooky!! PS: I chose a winner for the Sunglasses Shop giveaway! Congratulations to entry #23, Amanda of Salvaged Strawberry! Haha, aww, you look adorable! :) A cat is always a good stand-by costume! So cute! And I love the way you painted your nose. I always do the entire thing, but that just seems silly after seeing your dainty one. Happy Halloween! Oh, love those ears. Just went on the Christmas wishlist. your cat nose looks so cute! so does your cat— haha. those ears are wonderful. sometimes it's great to stay home + pass out candy and watch moveis— that's what we did! 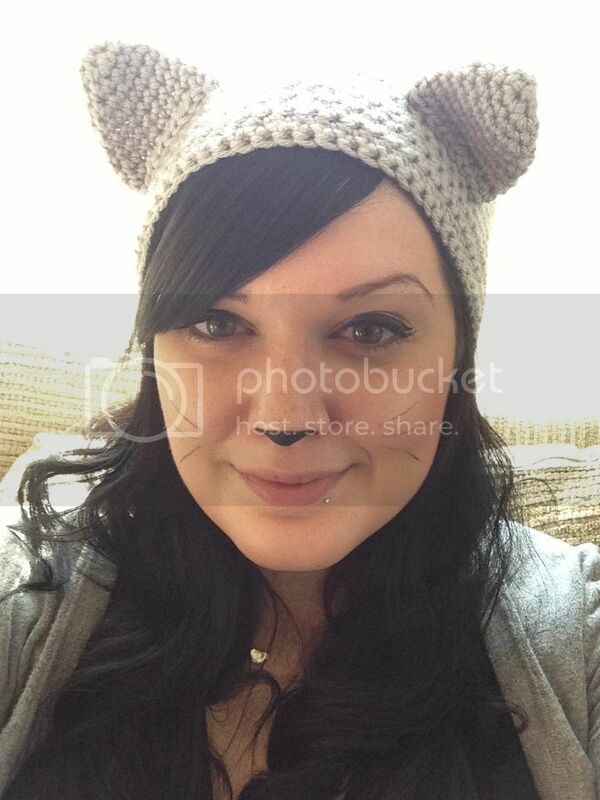 your little kitty headband is adorable! i feel like the last 3 halloweens i have had grand grand plans and then its always a let down...maybe we are just getting old?! yuck. You and jeans are so cute! The nose and whiskers totally make it! The cutest post ever. Jeans looks like a sane version of our kitty, Sebastian.